Crownstone | Flex energy arriving? What would a smart energy contract look like? At Qurrent (the utility company) a Hackathon is organized by Qurrent itself and Label A that is exactly meant to answer this question. One interesting point you might have not considered is consumer protection. In a lot of situations the ACM (consumer protection agency) in the Netherlands allows people to cancel their contract if there is a price change. Now, assume the price changes each hour due to wind and sun. Providers that give you these benefits suddenly are at a disadvantage with respect to utilities that are less environmentally friendly! Make sure you sign up fast, or they might run out of spots. The prize to win! A nice 10.000 kWh per team. Nice energy to do some altcoin mining. :-) Join our hackerspace meetup to - eventually - prepare for this hackathon. If you already know how to control the Crownstones, you can even quicker come up with smart energy-related applications! Plenty of updates! There has been quite some progress in the software development, firmware as well as app. The behavior is now easy accessible. Moreover, it is possible to set a timer. Stay tuned for more! Android will have a significant update next week. 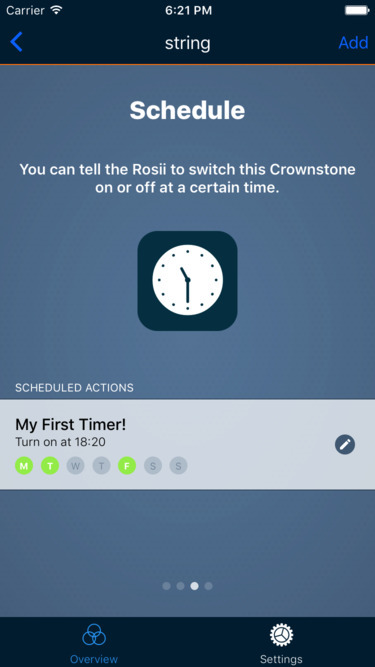 We already got nice feedback about our software updates that upgrade your Crownstones with new functions over the course of time. Some car manufacturers can’t even figure this out. :-) Nevertheless, we had one annoying bug that skipped our elaborate test procedures. Thankfully, not many people were affected. If there are problems, contact us of course! We’ll be happy with feedback. Webinar for installers. If you know people who earn their money as installers, point them to this ISSO webinar (September 12 at 12 o’clock). 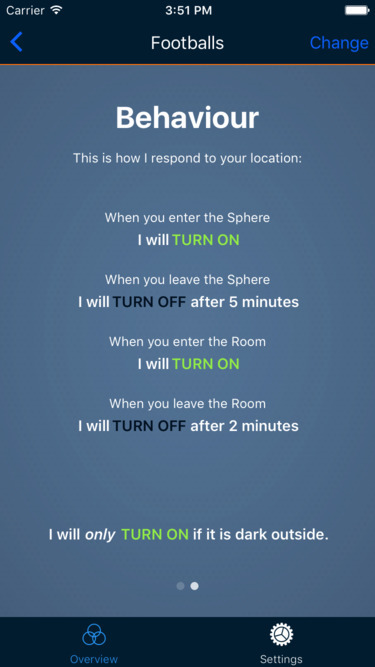 Anne will explain indoor localization and other things around smart homes that are relevant to the installer. Some fun things to read! Mathematicians tame rogue waves, lighting up future of LEDs, learn more about how electrons are localized in materials. If they are localized right (in the presence of a hole) a photon is emitted (light), if not a phonon is emitted (heat). Right to Privacy a Fundamental Right, Says Supreme Court. An interesting development considering contemporary news cycles driven by terrorism. Introducing Bluetooth Mesh Networking. One of the most interesting parts of Bluetooth 5. See also the Crownstone blog for a more technical story. The Crisis of Connected Cars: When Vulnerabilities Affect the CAN Standard. For everybody who played with the OBD2 interface or is interested in the (bad) state of software in cars.